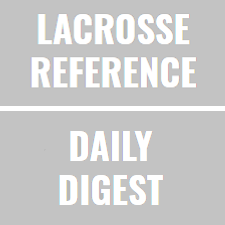 Game of Interest #1 Maryland Rutgers1613LaxWP Game PageLooked like we might be headed for another Rutgers performance over a top-Big Ten opponent. I suppose if you are a Scarlet Knights fan, the fact that Maryland came back protects you from another agonizing Selection Sunday. Of the four games today, 3 featured a significant turning point. In this game, it came with 6 mins left in Q2. Up to that point, Rutgers outscored the Terps 9-4. After that point, Maryland closed it out on a 12-4 run. Key in that shift was the play of the Maryland face-off unit. They increased their win rate from 26.7% over the first 24 minutes to 77.8% over the remaining 36. As a result, they enjoyed a 26-16 possession advantage as they came back to win. Interestingly, the shift in possession advantage also caused a shift in pacing for both teams. The Rutgers attack slowed down after they lost their possession edge (41.1s to first shot vs 46.9s after the turning point). And the Terps sped up (52.5s to first shot vs 44.5s after the turning point). Aggressive offenses tend to be more effective than an offensive trying to conserve their defense by playing slowly. Intuitively, a possession advantage means that your offense can be confident that they are more likely than not to get the next crack and doesn’t have to worry about maximizing time-of-possession. This game suggests that as the possession advantage flipped, so did the efficiency advantage that comes with it.Tension Game Score: 72★ ★The tension game score for this game was 72, which indicates a game that was more swing-y than tight throughout.Maryland Min. Win Probability: 13%★ ★The lowest win probability that Maryland had at any point during the game was 13.2%, which suggests that you would not fault those that switched over to something more compelling.Lax-ELO Points Transfer: 32★ ★The victory means a transfer of 32 Lax-ELO points from Rutgers to Maryland. As a result of this transfer (and the rest of the games played), Maryland moves from 5th to 4th nationally; Rutgers goes from 26th to 30th. Game of Interest #2 Ohio State Johns Hopkins1413LaxWP Game PageA tale of two halves, to be sure. Hopkins entered the 3rd quarter, up 8-3, having scored 8 goals on 19 possessions. The Jays defense forced the Buckeyes into just 15%. Ohio State won just a third of the 1st half faceoffs. Then the second half started… Perhaps the biggest statistical difference between the first and second halves was the Jays pacing. In the first half, they used an ultra-patient offensive approach to build their lead. Their average first shot over the first two quarters came after a full 54.6 seconds of possession. And that approach led to a 42% efficiency mark, not to mention a 60% time-of-possession advantage. In the second half, they had just as many possessions, but actually faced a 44% to 56% time of possession disadvantage. The Blue Jays turned the ball over almost exactly as much, and their offense was still respectable. But their average first shot was much quicker (35.2 seconds in the second half). And that gave the resurgent Ohio State offense the gap they needed to wriggle through and steal this win. Tension Game Score: 72★ ★The tension game score for this game was 72, which indicates a game that was more swing-y than tight throughout.Ohio State Min. Win Probability: 7%★ ★ ★The lowest win probability that Ohio State had at any point during the game was 7.2%, which means that this was a “happens-a-couple-times-a-year” type comeback.Lax-ELO Points Transfer: 16★The victory means a transfer of 16 Lax-ELO points from Johns Hopkins to Ohio State. As a result of this transfer (and the rest of the games played), Ohio State moves from 14th to 12th nationally; Johns Hopkins goes from 28th to 29th. Game of Interest #3 Cornell Notre Dame119LaxWP Game PageNotre Dame won 87% of the face-offs, had an 8-possession margin. and got off 15 more shots than the Big Red. But Cornell countered that win better play in net (65% vs 52%), longer possessions, and an uncharacteristic defensive effort. You expect the Cornell offense not to hit their season mark against the Irish defense. But you do not expect the Irish offense to struggle like they did against the Cornell D. I tend to break offensive under-performance into two buckets: shooting percentage and turnover rate (duh, right?). Notre Dame’s turnover rate was in-line with their performance coming in (39% coming in vs 34% against Cornell). But their shooting percentage dropped precipitously (33% coming in vs 18% against Cornell). They ended up with more shots per possession in this game, which indicates that they had no trouble getting their looks, they just couldn’t get past the Cornell keeper. Another clue in that direction, their average shot came after 30.9 seconds (compared to 32.8% coming in). If the Cornell defense was frustrating the Irish offense into taking bad shots, you would expect their average first shot to come later. The fact that they shot as quickly as they normally do suggests that they thought they were good shots…until the keeper stopped them.Tension Game Score: 77★ ★The tension game score for this game was 77, which indicates a game that was more swing-y than tight throughout.Cornell Min. Win Probability: 24%★ ★The lowest win probability that Cornell had at any point during the game was 24.2%, which suggests that you would not fault those that switched over to something more compelling.Lax-ELO Points Transfer: 26★The victory means a transfer of 26 Lax-ELO points from Notre Dame to Cornell. As a result of this transfer (and the rest of the games played), Cornell moves from 10th to 8th nationally; Notre Dame goes from 15th to 22nd. Game of Interest #4 Villanova Georgetown1316LaxWP Game PageThe key point in this one was 9:30 remaining in the 2nd quarter. Villanova was up 7-3 and had just scored to earn the 4-goal cushion. From that point on, Georgetown outscored the Hoyas 13-6. The Hoyas more than doubled their offensive efficiency, despite their turnover rate increasing from 29% to 34%. They were getting the same number of shots off, so the key stat for them was an increase in their shooting percentage from 23% to 48%. Put simply, the Hoyas solved the puzzle that the Wildcats defense was throwing at them. On the other end of the field, the Hoyas defense clamped down on Villanova’s attack, forcing a 8 turnovers on the WIldcat’s final 20 possessions, compared to just 4 on their first 15. They also got a big contribution from Owen McElroy in goal. His save percentage jumped from 36% in the first stretch to 65% for the game. Hard to say whether the defense forced worse shots from Villanova or whether McElroy’s play in net forced longer possessions with more chances for a turnover. But whatever the cause, the Hoyas defense played just as much part in the comeback as the offsense did.Tension Game Score: 93★ ★The tension game score for this game was 93, which means that it was not a very tight affair for the most part.Georgetown Min. Win Probability: 13%★ ★The lowest win probability that Georgetown had at any point during the game was 13.2%, which suggests that you would not fault those that switched over to something more compelling.Lax-ELO Points Transfer: 10★The victory means a transfer of 10 Lax-ELO points from Villanova to Georgetown. As a result of this transfer (and the rest of the games played), Villanova moves from 29th to 28th nationally; Georgetown goes from 11th to 11th.